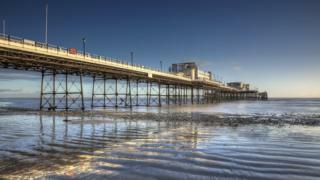 A 19th Century Art Deco pier originally built as a landing stage has been named this year's Pier of the Year. 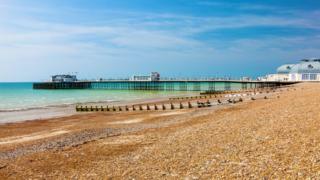 Worthing Pier, which was built in 1862, was held up as 2019's top pier, having previously come second and third in the competition in the past four years. 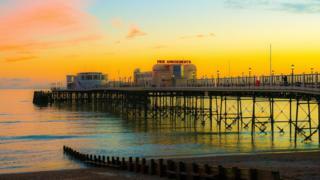 The mayor of Worthing, Paul Baker, said: "It really is a beautiful and iconic landmark. 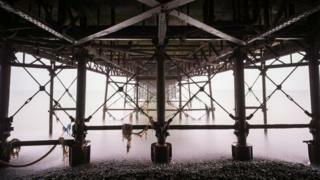 "It symbolises all that is classic about a traditional pier. "It's not garish but elegant, you can see a great show there, take tea while enjoying spectacular views, have a nice meal, fish for your supper, or just take an evening stroll." The National Piers Society competition compares 55 open piers. Clacton in Essex came second and Clevedon in North Somerset third. Society chairman Gavin Henderson said: "I am really pleased to give three cheers to Worthing pier for all its historical significance and current glory." 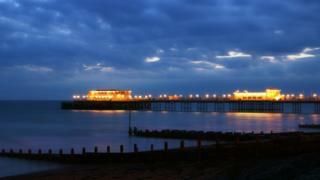 The last time Worthing Pier won the accolade was in 2006. 1889 - Pavilion erected on the pier head - later known as the Southern Pavilion. 1913 - Storm destroyed Southern Pavilion, it was fixed within a year. 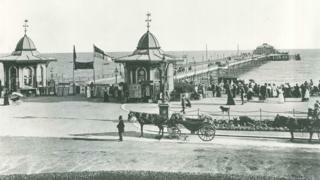 1920 - Pier sold to the council. 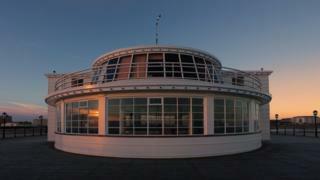 1926 - Shoreward pavilion opened, Worthing Municipal Orchestra made it home. 1933 - Southern Pavilion destroyed by fire. 1935 - Reopened after £18,000 of repair costs. 1937 - Amusement arcade built. 1939 - Outbreak of the Second World War: entrance pavilion used by troops for games, a canteen and a library. 1946 - Pier reopened to the public. Through the years the Southern Pavilion was used as a model railway museum, a cinema and zoo. 1980s - It became a nightclub. 2014 - Southern Pavilion renovated into a cafe, performance space and wedding venue.